WOW! You're so sweet for giving MAC lipsticks. I'm glad to find your blog. Thanks for making this giveaway, I'm in! I'm following you on BlogLovin, my name is Mitch http://www.bloglovin.com/lorrefelle from Oh Dear Bumblebees. Thanks for tweeting me! I have followed you on google + and on blog login. I love your blog. I'd say creme cup would be my favourite ever shape, the perfect colour for summer. But if I won i'd get you to pick which shade to get as I love trying out new things! Thanks for taking part lovely, good luck! Wow, your blog is really nice! Why haven't I found you sooner? 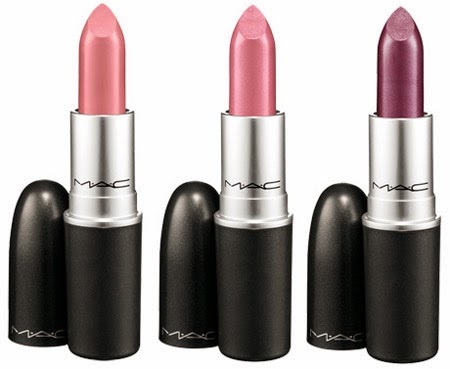 Anyway, it's a MAC giveaway, I can't just let that pass without participating in it! I'd love to win Russian Red as it's the shade I've been wanting for months now but I've never actually gotten around to buy it! Thanks for your sweet comments, this competition is now closed but you will be entered into my 100 followers giveaway. When I reach 100 on bloglovin I will draw a winner at random.